Understand and take advantage of the fluctuations of markets and come out ahead by learning when and where to invest your money. 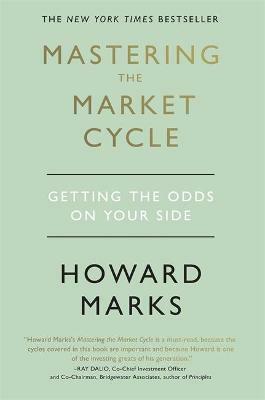 Howard Marks is co-chairman and cofounder of Oaktree Capital Management, a Los Angeles-based investment firm with $100 billion under management. He holds a bachelor's degree in finance from the Wharton School and an MBA in accounting and marketing from the University of Chicago. 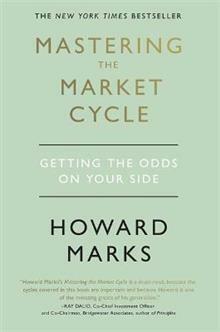 In the 2015 Forbes rankings, Marks was ranked the #338 richest person in the United States Oaktree Capital Management is a leading global alternative investment management firm with particular expertise in credit strategies. The firm was formed in 1995 by a group of individuals who had been investing together since the mid-1980s in high yield bonds, convertible securities, distressed debt, real estate and control investments. Today, Oaktree comprises over 900 employees in Los Angeles (headquarters), New York, Stamford, Houston, London, Paris, Frankfurt, Amsterdam*, Dublin*, Luxembourg*, Dubai, Hong Kong, Tokyo, Singapore, Seoul, Beijing, Shanghai and Sydney. It has 31 portfolio managers with average experience of 23 years and over 700 years of combined investment experience. Among Oaktree's global clients are 75 of the 100 largest U.S. pension plans, over 400 corporations around the world, over 350 endowments and foundations globally, 16 sovereign wealth funds and 38 of the 50 primary state retirement plans in the United States.